Telecom Billing is a method which collects usage, aggregates it, applies necessary charges and finally generates invoices for the customers. It also includes receiving and recording payments from the customers. 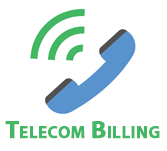 This tutorial will give you a complete understanding on Telecom Billing. This tutorial is useful for Telecom Billing Professionals and it helps them to understand end-to-end billing process along with all its associated concepts. Before starting with this tutorial, users should have basic understanding of GSM, GPRS services like voice, SMS and data.